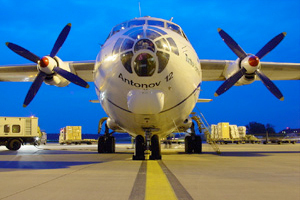 The Antonov An-12 (NATO reporting name: Cub) is a four-engined turboprop transport aircraft. It is the military version of the An-10A. The first prototype flew in March, 1957. Over 900 military and civilian versions had been built before production finally ended in 1973. The An-12BP entered Soviet military service in 1959. Currently it’s very popular with cargo operators.